This will be the 1st in a series of posts that will poll our RiverPark residents for their opinions regarding where the best local restaurants are located. We will attempt to identify good local restaurants that are conveniently located in relationship to RiverPark. The large fast food chains will be excluded from these polls which will be organized according to the type of cuisine they serve. Our 1st poll will attempt to identify the best Mexican Restaurant within a 1.5 mile radius of our RiverPark community, . The results will be published next week. Based on your answers we will try to negotiate some freebies or special discounts for RiverPark residents. Please make your selection below. If we overlooked your favorite, you may write its name in the field provided. La Palapa - 2826 N. Vineyard Av. La Gloria Taqueria - 2736 N. Vineyard Av. 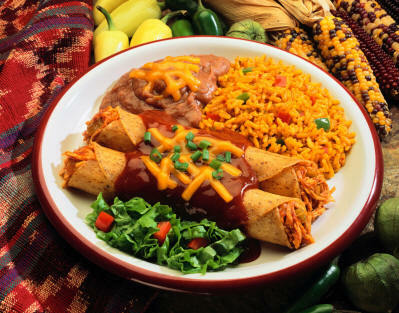 Dona Rosa's Mexican Food - 2801 Wagon Wheel Rd. El Portal's - 2311 N. Oxnard Bl. Tacos Don Chente - 2131 N. Oxnard Bl.